The fundamental pillars on which the work of Apemar is based are the quality of its guaranteed products and a good service. 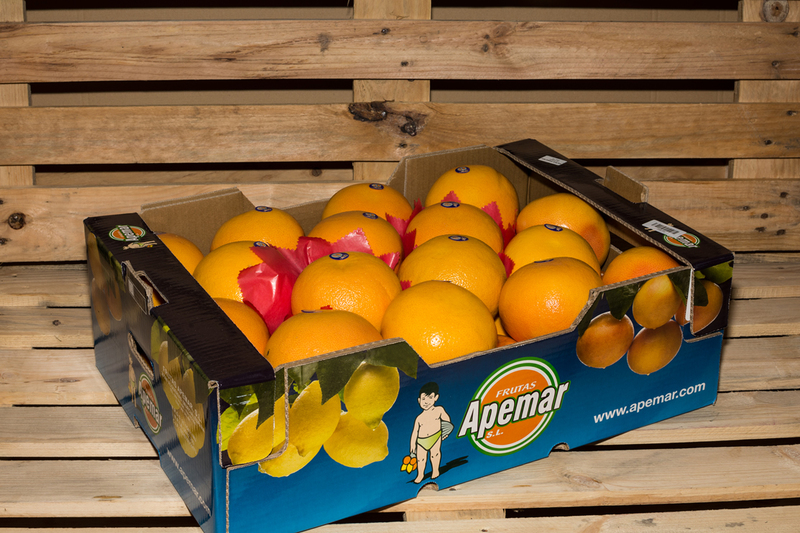 From the selection of the product at the origin, Apemar puts a special effort and care in its handling. That is why it has recently expanded its facilities with the most advanced technologies in the sector. 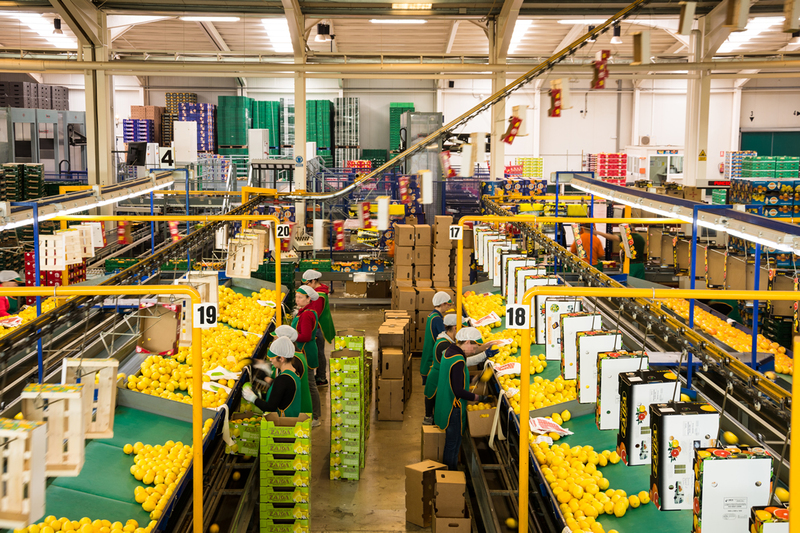 This new extension of the company of an area of 10.000 m2 was destined to the marketing of lemon and grapefruit. To offer a better quality of products to its customers, Apemar pays special attention to the collection and transportation process..
To this end, it provides its teams with the best tools both for harvesting and transport. .It also moves personnel responsible for supervising the proper use of these instruments in the field..
production lines. One for lemon and one for grapefruit, provided with an electronic calibrator each. For lemon the “SUNKIST” calibrator with G2 (American) technology capable of classifying 22.000 kg per hour. For grapefruit, the New Zealand “COMPAC” calibrator, both 4.5 meters in length and 34 outlets, are equipped with self-cleaning and self-greasing systems, etc. Electronic calibrators have sophisticated software. These processors allow to classify the product of homogeneous way according to the weight, size and color that we select. This investment aims to better serve our customers: our packaging contains products that have passed a rigorous quality control, which is an added value to the merchandise. Our production capacity exceeds 22,000 kg per hour of product for each of the new lines. This allows us to pack more kilos in less time, since the machines facilitate, with the previous selection, the work of the manipulated. We work with the standard packaging of the market although we can adapt to the needs of our customers. 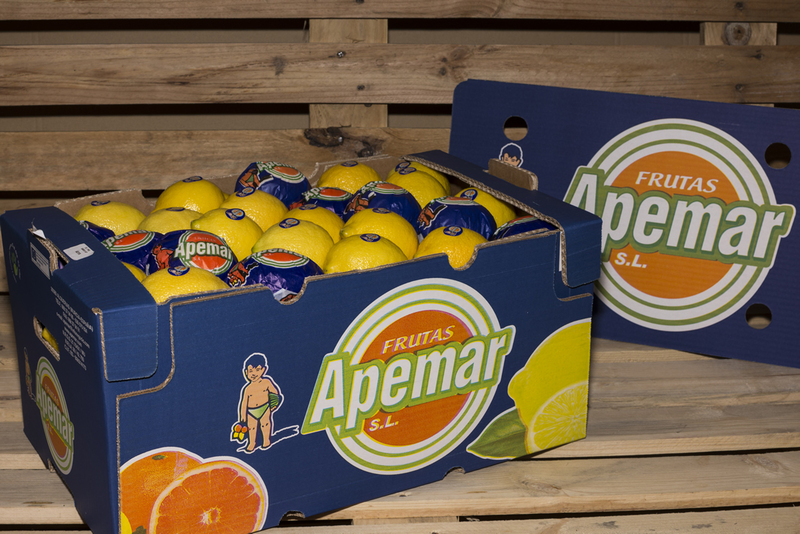 Apemar also packs lemon and grapefruit in other brands. We have wide walk-in coolers for the correct onservation of our packaged product while it arrives at the moment of its xpedition both nationally and internationally. With our infrastructure, delivery times are reduced considerably, without affecting the quality of our products which our ustomers are used to. 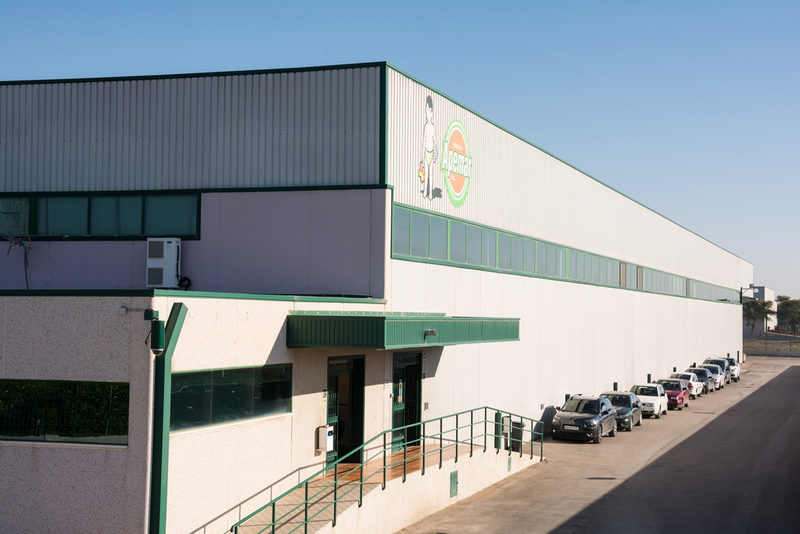 The commitment of Frutas Apemar is to guarantee a personalized service to its customers throughout the year. Founded by Mr. Antonio Pelegrin Martínez and with more than 50 years of experience.